It’s always a pleasant surprise when artists take unexpected stylistic turns. And it’s incredibly easy to mess up. 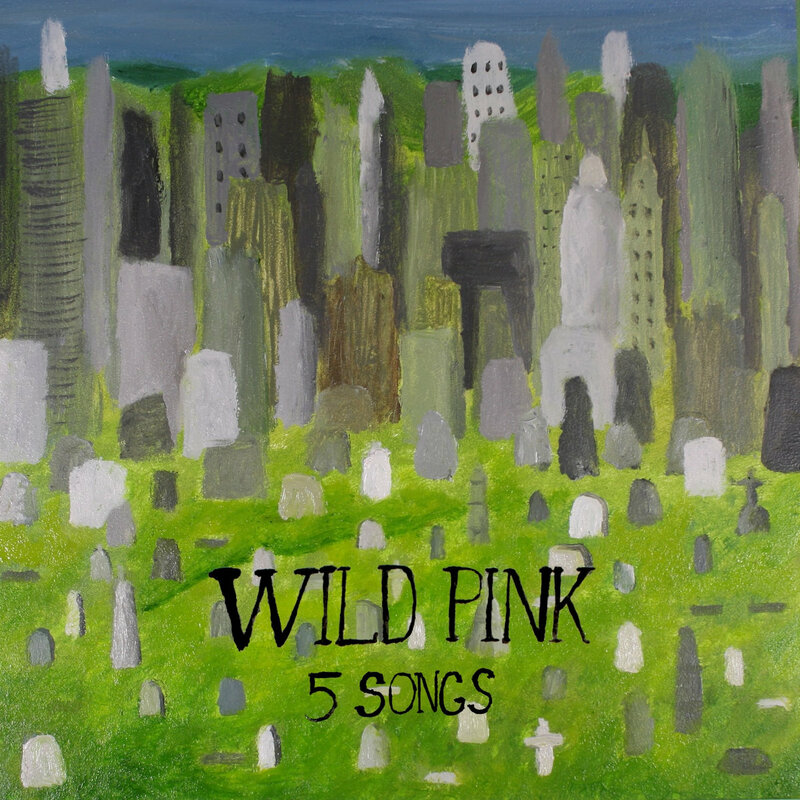 But Wild Pink—on their aptly titled 5 Songs EP—does it without fail, wandering into the realm of electronic indie rock by way of three remixes and two original songs, all the while taking their sound in a bold new direction. The opening track “There Is a Ledger – Shy Layers Remix” almost completely reworks a previously textbook-indie track into something else altogether: simultaneously tranquil and bursting with energy, almost wandering into the realm of electronic dance music but maintaining its foundation in the band’s original sonic fingerprint. Many die-hard Wild Pink fans (or, really, indie rock fans in general) may be off-put by the seemingly out-of-place use of autotune—but the track arguably necessitates it. With the song’s almost complete sonic makeover, the vocal manipulation serves as icing on the EP’s cake, perfectly complementing all the other “new” elements emerging within it. “Love Is Better – Dondadi Remix” takes much of its direction from “There Is a Ledger” but takes a more ambient approach, with ambient synth swells and offbeat notes cushioning the seemingly broken beat—which all, somehow, sounds more of a beautiful conglomeration than a bunch of random noises grouped together. The track may lack much of a direction but, in its utter ambiguity, creates a whole new adventurous sound for Wild Pink. And the third track, “All Some Frenchman’s Joke – Eerie Gaits Remix”, sheds the previous songs’ adherence to a beat and goes completely ambient. None of the three remixed tracks sound very similar to the original tracks, but in the best way possible. Many remixes—particularly electronica ones—stretch the possibilities of a track, allowing it to explore new ground and reach potentials unattained by the original song; these Wild Pink remixes instead reimagine the songs completely, allowing them to explore new realms entirely. The band follows the first three tracks up with two original compositions that find the band returning to their signature sound: “Coaches Who Cry”, a slower, almost march-like song that eventually evolves into a more upbeat, atmospheric sonic exploration, and “How’s the Tap Here”, comparatively more upbeat than the previous track and evoking much of the minimalist, spacey feeling of their first, self-titled album. As charming as the EP’s last two tracks are, 5 Songs serves as an important musical landmark for the indie rock outfit, demonstrating their enthusiasm for experimentation and promising, hopefully, that their future music will embrace such forward-thinking ideas, perhaps leading the band’s sound in a completely new direction.